OTTAWA—The Royal Canadian Air Force is hoping to pull the trigger on the purchase of new drones within six years after spending nearly two decades weighing different options. 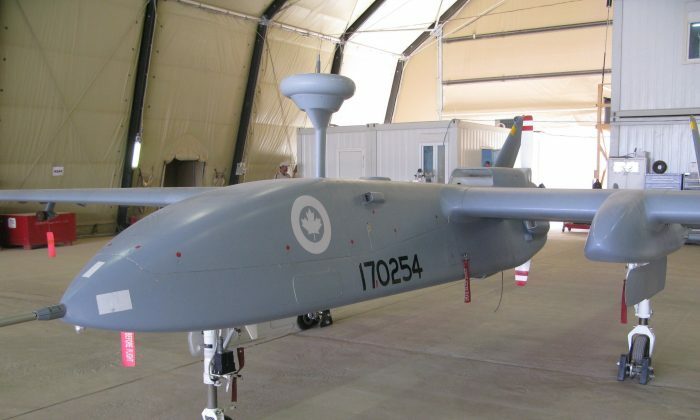 The Canadian Forces has been working since the early 2000s to find unmanned aerial vehicles that can conduct surveillance over Canada’s vast territory and support overseas missions. Yet aside from purchasing a small number of temporary, unarmed drones for the war in Afghanistan, the military has never been able to make much progress on a permanent fleet. Air Force commander Lt.-Gen. Al Meinzinger says he believes that is about to change after the Trudeau government became the first to officially authorize the acquisition of a fleet of armed UAVs through its defence policy. In an interview, Meinzinger says the air force is nearly finished drawing up options—where it has been stuck for years—and will soon move into the next phase by presenting its proposals to procurement officials. While the military has welcomed Canada’s decision to buy armed drones and promised to abide by international laws, some arms-control advocates have expressed concern about the legal grey zone such weapons inhabit. FAA: Commercial Drones Get Nod to Fly. What Can We Expect?